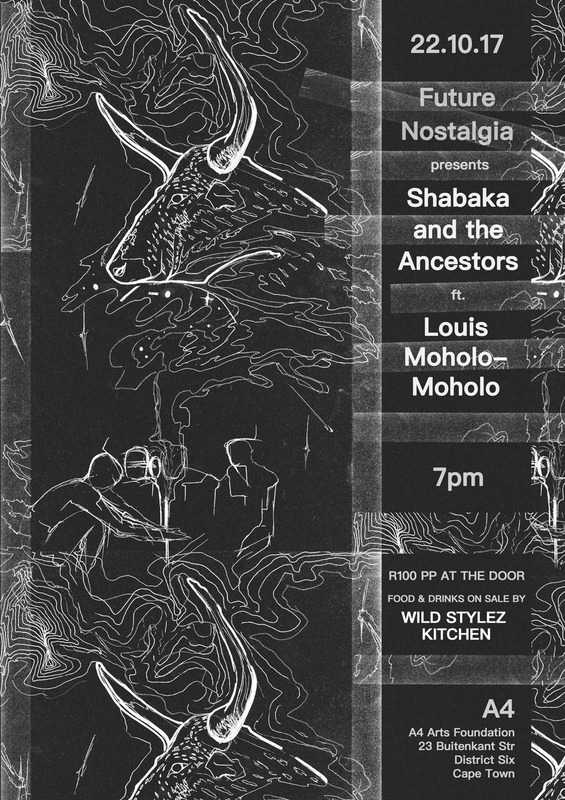 Music performance by Shabaka and the Ancestors with special guest Louis Moholo-Moholo. Shabaka and the Ancestors perform for the first time in Cape Town from their debut album “Wisdom of Elders” released in 2017. The line-up for the evening includes Shabaka Hutchings (sax), Tumi Mogorosi (drums), Siyabonga Mthembu (vocals), Gontse Makhene (percussion), Shane Cooper (bass), Mthunzi Mvubu (sax) and special guest Bra Louis Moholo-Moholo on drums. DJ sets by Future Nostalgia selectors El Corazon and Futurist. Breyani & boeber by Wild Stylez Kitchen.